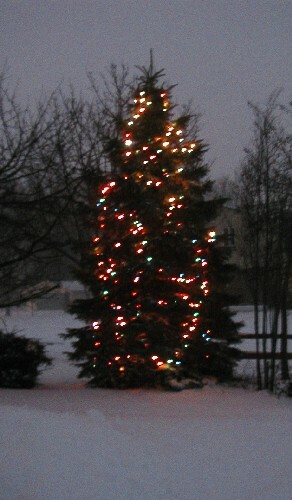 We didn’t put up a tree this year, but Mr. Karen put lights on this one in the corner of our yard. This tree was knee high when we moved in almost fifteen years ago and now it’s so big it takes a ladder and a rake to decorate. Merry Christmas to those of you who are celebrating today. One year ago, I mostly quoted song lyrics. Two years ago, I took the day off.